HelpaTM for Windows was written in Delphi under Borland Delphi 6. Data storage and manipulation is provided in the industry leading Microsoft SQL Server (MSDE 2000) format, and is adaptable to any format (including XLS, XML, TXT, and CSV) that you require. 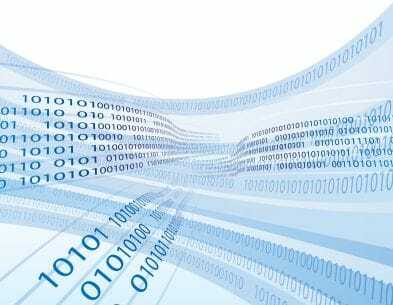 Fast searches and data retrieval are carried out through SQL queries and stored procedures. Helpa Version 5.0 for Windows is the ultimate solution for all construction materials laboratories and is a true RDMS database system. HelpaTM, as the acronym suggests, is a High-level Engineering Laboratory Productivity Application, aimed at computerizing engineering soils, concrete and asphalt testing facilities. The current version, 5.0 for Windows, is a 32 bit version and can be run on Windows NT and Windows 2000, Win ME and Windows XP. Helpa is distributed as a fully compiled, stand alone windows executable. This means that you require no additional software, such as is required by Microsoft Access applications needing run-time licenses, is required if using Helpa. HelpaTM has been designed to take advantage of SQL Server technology, and by using the MSDE 2000, the program has the ability to be scaled to SQL Server directly if the need should arise. Large organizations that incorporate a WAN are advised to install SQL Server for the Enterprise, as it gives a much more ideal setup in terms of a database solution, and the Helpa32SQL database can be attached directly to the SQL Server for use enterprise wide. Helpa also links directly to Microsoft Excel for any printouts ranging from Worksheets, Summaries, Reports, Calibrations and Invoices. It uses OLE Automation to embed and link to Excel and Word if required. Having the direct portability to Excel gives customization a whole new dimension as there are no limits to how you design and print sheets within the program. The program has row level locking as well, so multiple users can obtain access to the one table at the same time. Simultaneous user access provides another big benefit to companies that want productivity to be their number one objective.